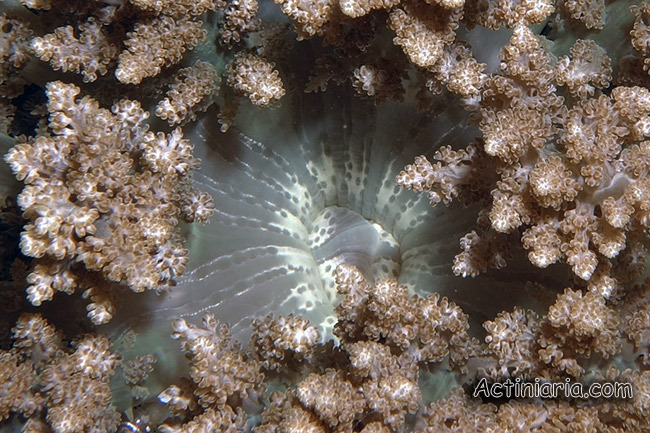 The anemone on the photo below was identified as Actinodendron arboreum, but I prefer to label it here as Actinodendron sp. 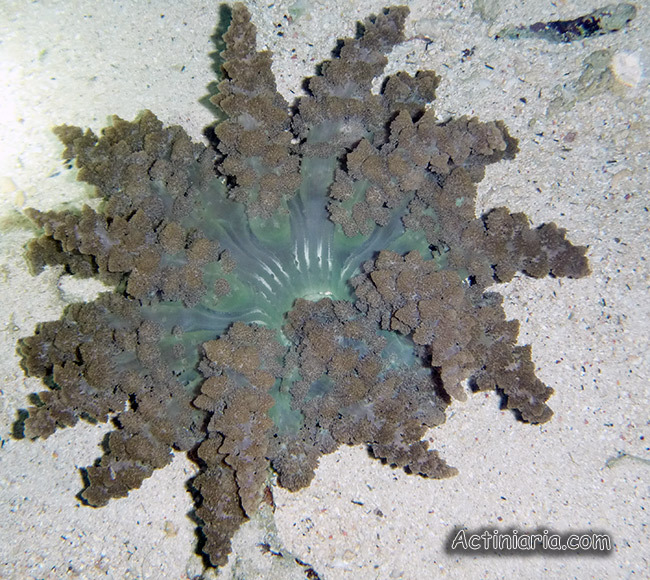 (photo of Eunice Khoo (MerMate), specimen from Indonesia). 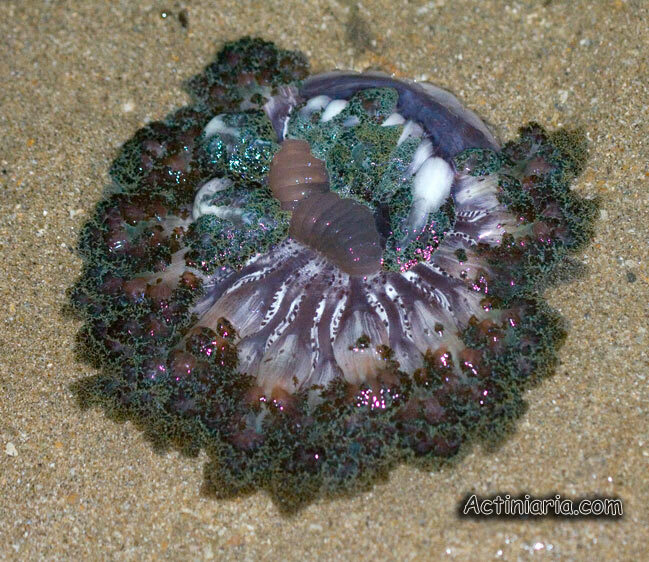 Sea anemones of the genus Actinodendron are easily distinguished from anemones belonging to other genera. 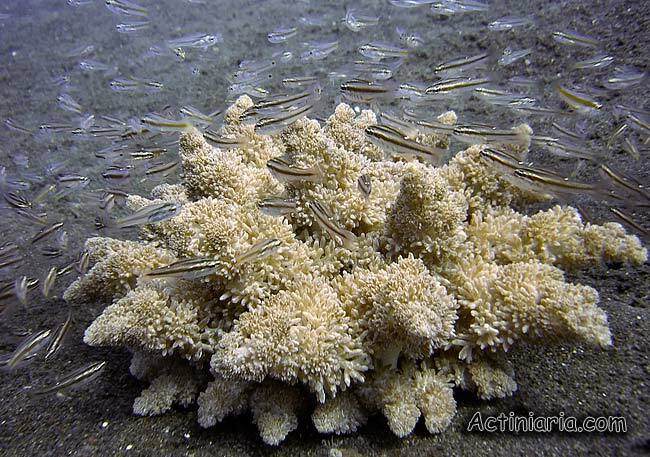 Actinodendron contains several species, but most are known from very old original descriptions and require revision to reveal their taxonomic status and species-specific features. There are many of photos of variously identified Actinodendron species in the Internet but most identification are probably not quite reliable. There are also several (few) records of Actinodendron in the scientific literature, but they all are not very helpful for species identification. Under these circumstates I prefer not to identify the species and name here the anemones on the photos just as Actinodendron sp.